It turns out the Elektra actress has something common with Lisa Simpson. They both love playing the saxophone. Garner used to be in her high school marching band, where she plays the saxophone. In fact, back in the day, she once tried to impress a boy she likes with her saxophone skills on Valentine’s Day, but the boy’s mother was not impressed. Garner has displayed her hidden talent in a movie before. She showcased her talents in an interview with Donny and Marie Osmond, back in 2000. If Ellen Page decides to give up acting one day, she can probably make ends meet as a street busker with her juggling skills. Page shared that she learnt how to juggle during her free time on film sets since she was young. 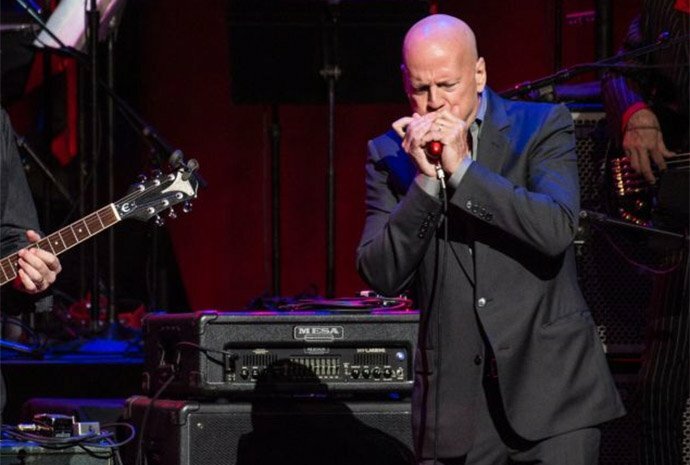 When Bruce Willis isn’t playing tough cops, busting his guts to chase down the bad guys, he can be seen, or heard, playing the harmonica. Willis has even played alongside the legendary BB King, so you know it’s not just a hobby, it’s a serious craft. He has displayed his masterful harmonica playing in music albums and guest appearances before, and has even held a stint as a harmonica player in an R&B band called the Loose Goose. Before he became one of Ireland’s biggest acting exports, Colin Farrell used to work as a line dancer, not quite River Dance, but as a member of a line-dancing group that wore all denim and cowboy hats, country-western style. As an aspiring actor at 19, Farrell needed to make ends meet. Instead of becoming a waiter like what most of his peers did, he picked line dancing instead. It paid more than waiting tables, and earned a good living touring nightclubs across Ireland. Before Stardom: Telemarketer, Janitor and… Fire Eater?? Raise Your Left Hand if You’re a Lefty!